This week is UK Road Safety Week – a week dedicated to national road safety activities. The theme for this year’s campaign is ‘Be Safe Out There’. The week launches with an event in York today that will focus on cycle safety. Robert Goodwill, road safety minister, Honor Byford, chair of Road Safety GB, and Dave Etheridge, CFOA lead for road safety will all be in attendance. 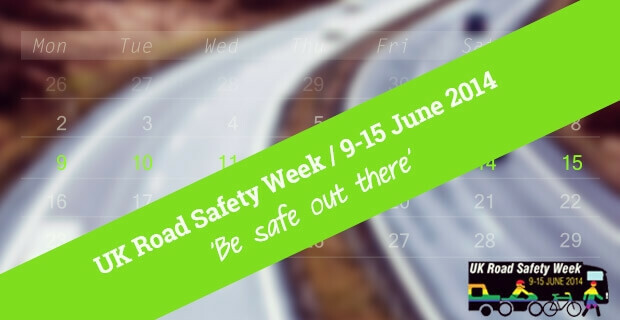 UK Road Safety Week is co-ordinated by the Chief Fire Officers Association (CFOA) in partnership with the Highways Agency, DfT, ACPO, Brake, Road Safety GB, RoSPA, RoadSafe, TyreSafe, Living Streets, the RAC Foundation and the MAG Foundation. Visit the CFOA’s website for more details.